You want me to wear what??! 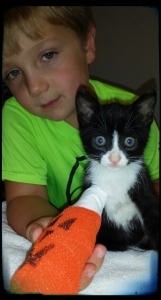 Meet our newest, littlest patient! 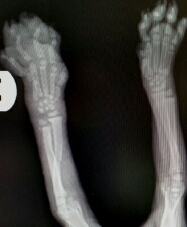 This stray baby boy has a broken arm and two broken fingers. He is a little overwhelmed by his new bandage, but it is also very festive!! He is about five weeks old. Come in to Kindness and visit him anytime!! !